I love it when Tucker slams Democrats! 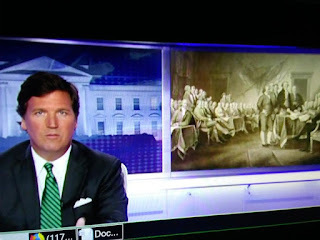 Fox News reports when the founders of this country designed the American Republic, something we're grateful for obviously, not everyone was impressed by it at the time. Much of Europe scoffed at the idea, not just because they were monarchists, though many of them were free-thinking people of the time.